For months, whenever I walked through the bakery section of my local market, I’d glimpse rows of cellophane bags standing at attention, each holding three perfectly stacked cookie sandwiches. Being a Double Stuf person, what caught my eye through the clear wrapping was a thick layer of white frosting in between each set of generously proportioned cookies. 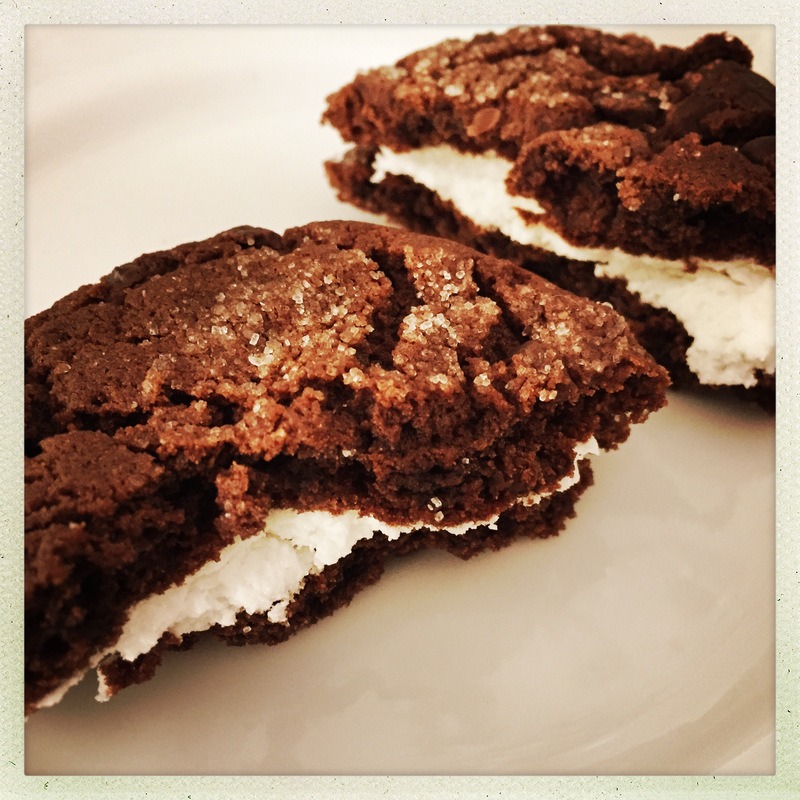 They were slightly more than I wanted to spend, but I was prepared to put a bag (or two) of these Divvies cookie sandwiches in my basket when I saw that they were made for people with dietary restrictions. Equating those words with boring and tasteless, I quickly moved on. 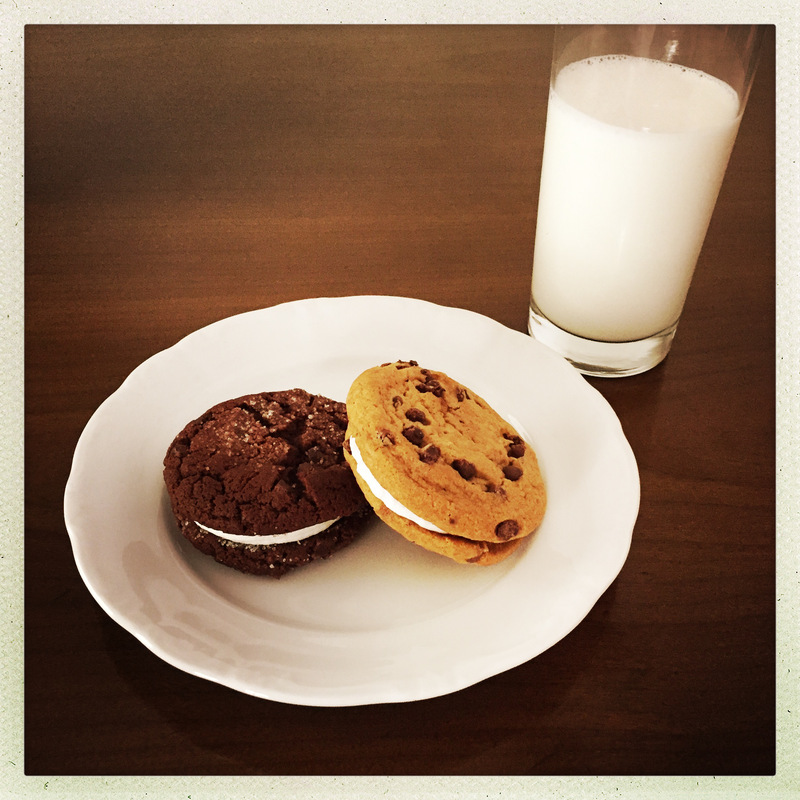 (Coconut) Milk and (vegan) cookies. But that clear bag is diabolical. Every time I went grocery shopping (usually on an empty stomach—the ultimate marketing no-no), I would stare at those cookies…and they would stare back. So I finally broke down and bought a bag. Sometimes it’s better NOT to know. I was safe when I thought they’d be stale and bland, but once I discovered their soft, chewy texture, abundance of chocolate chips, and rich, buttercream-like frosting, I knew I was in trouble. A tragic case of mistaken identity. Calling on hidden reserves of self-control, I only allow myself to indulge on occasion, so I almost snapped when a recent snafu caused me to pull a bag of oatmeal raisin cookie sandwiches out of my grocery bag when I got home. For those who know me, this is a tragedy of Shakespearean proportions. Raisins are always an affront, but when you’re expecting chocolate chips? We’re talking Et tu, Brute?-level betrayal. I thought about rushing right back to the store, but it had been a long, tiring day. Plus, I hate returning food items, since I know they can’t be resold, so I did what any reasonable person would do: I got a pair of tweezers. If you love raisins, good news! These cookies are LOADED with raisins. (Bad news: you and I can never be friends.) By the time I’d cleaned house and sent the Sun Maid packing, my oatmeal cookie sandwich was FUBAR (fouled up beyond all raisin). 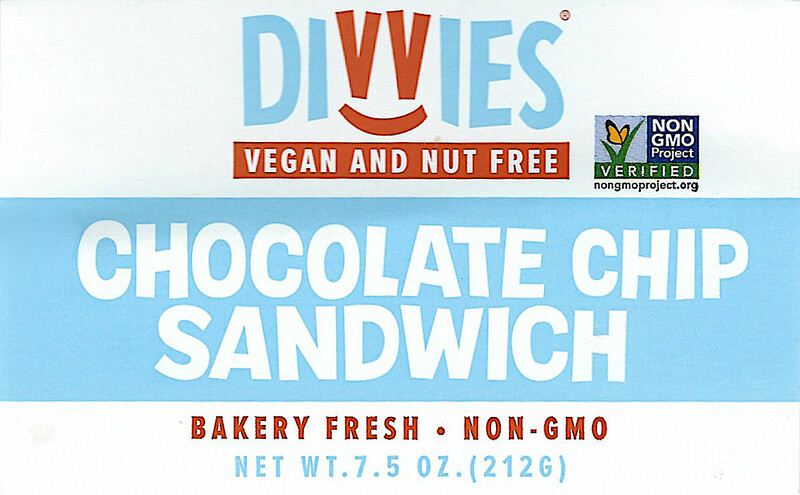 I was feeling cheated of a rare indulgence, so I checked carefully the next time I went to the market and saw several bags of Divvies chocolate chip cookie sandwiches grouped together on the display table. I was about to grab a bag when I noticed that one appeared to have more frosting than the others, so I eagerly popped it in my basket…only to pull out another bag of oatmeal raisin cookies when I got home. Shaking my fist at fate and the fact that chocolate chip cookies and oatmeal raisin cookies look disastrously alike, I vowed to stick with brownie cookie sandwiches from now on. The last time I bought a bag, the checker asked if I was vegan. I said no, although I try to avoid animal products as much as possible, but we both agreed that Divvies stand toe-to-toe (and bottom-to-bottom) with any other gourmet cookie sandwiches on the market. So vegans and people with nut, egg, and dairy allergies, rejoice! You can indulge like all the rest of us “civvies”…just make sure to check your bags first so you know what you’re getting into. Divvies are available at Sprouts and other markets, coffee shops, and specialty food stores nationwide. Click here to find a location near you. 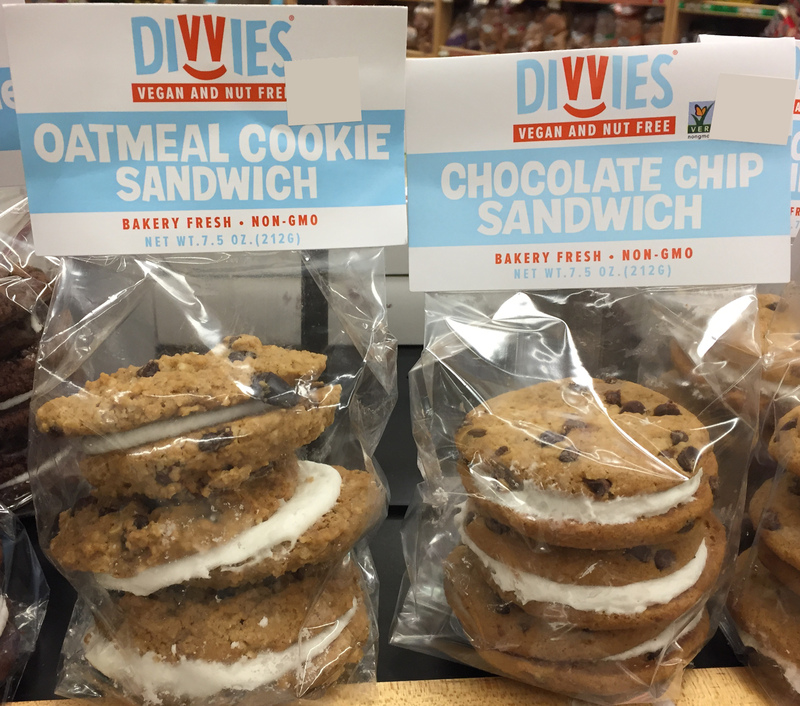 Divvies has a new Sugar with Lemon Cookie Sandwich! 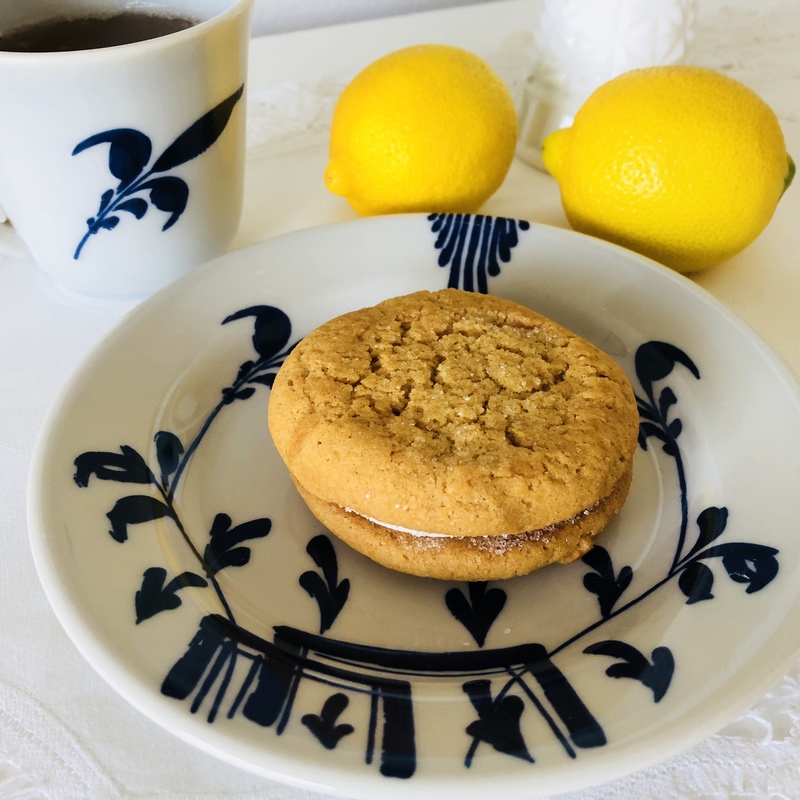 It has the same chewy texture and creamy filling as Divvies’ other allergy-free and vegan cookie sandwiches with a squeeze of bright citrus flavor and a golden color that means there’s no chance of mistaking it for any other sun-ripened fruit (ahem). Enjoy one for afternoon tea accompanied by a cup of Earl Grey with a slice of lemon, or as a summertime snack with a tall glass of iced tea, lemonade, or a mixture of both. Pucker up!